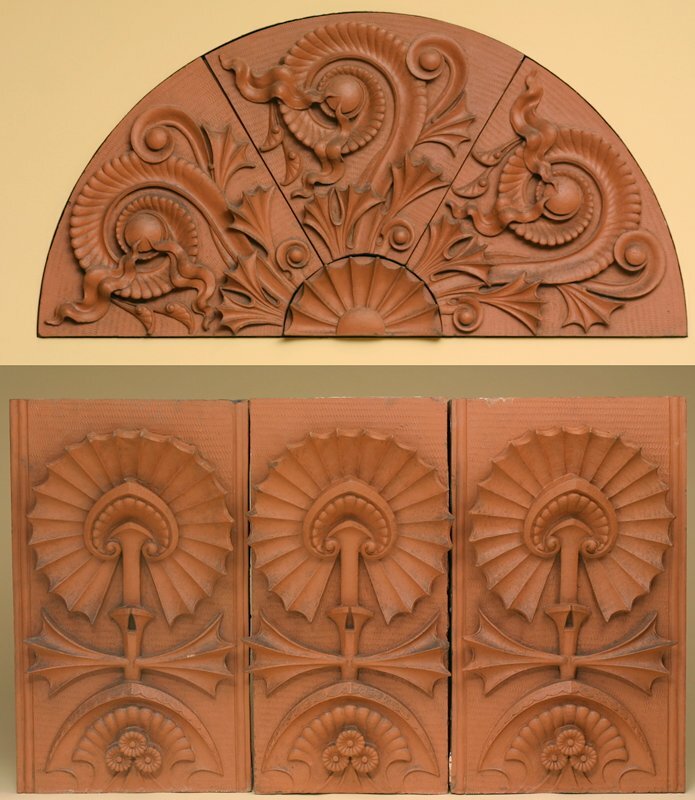 Louis Sullivan designed these terracotta panels for the exterior of the Scoville Building in Chicago, one of the Adler and Sullivan firm's earliest commissions. It required them to remodel an existing Adler structure to accord with a new, much larger addition. The terracotta pieces shown here formed part of the organic decoration of stylized plants with which Sullivan tied the two buildings together. This lunette ornamented the arch above the windows of the top (fifth) story. It has an undulating design of ferns unfurling and would have complemented other organically-inspired terracotta pieces throughout the exterior.